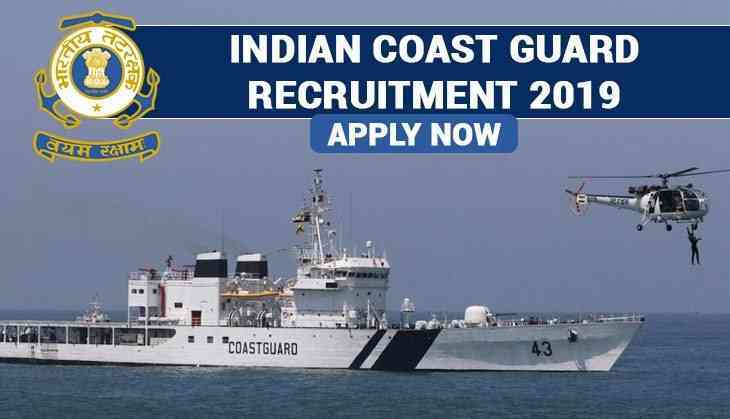 Indian Coast Guard has released a job opportunity for the various posts on its official website. Candidates who will qualify the exam will be supposed to get the salary up to 69000. Yes, if you are interested in the recruitment drive, you can go through the official notification released by the Indian Coast Guard, Paradip. As per the notification, Indian Coast Guard has released the jobs for the posts of Enrolled Follower/Safaiwala. The last date to apply for the vacancies is 12th March 2019. All the interested and eligible candidates can apply for the vacancies in the prescribed format before the last date. It is mandatory that applicants should fill the application form for the posts after thoroughly going through the notification. To download the application format, aspirants can download the form from the Coast Guard website at indiancoastguard.gov.in. There are 11 posts of Enrolled Follower/Safaiwala released by Indian Coast. All the interested candidates who are applying for the posts should be 10th class pass and should hold an ITI or equivalent certificate. The minimum age limit for the aspirants is 18 years while the maximum age limit to apply for the vacancy is 25 years of age. While the candidates belonging to the reserved categories will get age relaxation in accordance with the government norms. Candidates who will be selected for the post will be at Pay Level -03 with a pay scale of Rs 21700- Rs 69100. Candidates who are applying for the exam can send their applications form and documents to the Recruitment Officer, Indian Coast Guard Station Paradip, Opposite Port trust Admin Building, Badpadia Paradip-754142. Note: To know more about the vacancy, candidates may visit the Coast Guard website.